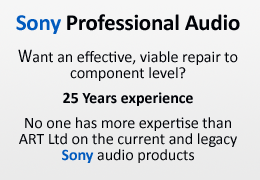 Audio Related Technology is the QSC sole Warranty repair centre in the UK for all Systems and Professional live products. If you have a QSC product under warranty or are unsure if it is still covered the following information will help you. It is your (the customer) responsibility to get the unit in need of repair to our workshop in Chesham at your cost. You can do this is a number of ways. Return shipment costs are covered by the warranty. Arrange to us to collect on a same van service, please call or email for a quote. How to tell if your QSC product is within its warranty period. QSC Systems Products come under a 3 year manufacturer’s warranty. 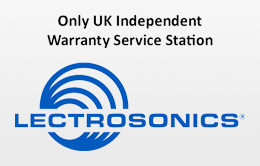 For proof of warranty we will need either the sales receipt from a UK dealer or the complete serial number as quoted on the product label normally found on the rear panel of the unit. Most of QSC Live products come with a 3 year manufactures, with the below exceptions. Extended warranty applies to new or A stock units only. For mixer products, QSC offers a standard 1 year warranty, with an additional 2 years with registration. Extended warranty for mixer products with registration applies to all countries. If you have registered your product for extended warranty please provide us with the details of registration so we can check it. How to decode QSC serial number to Verify warranty status.